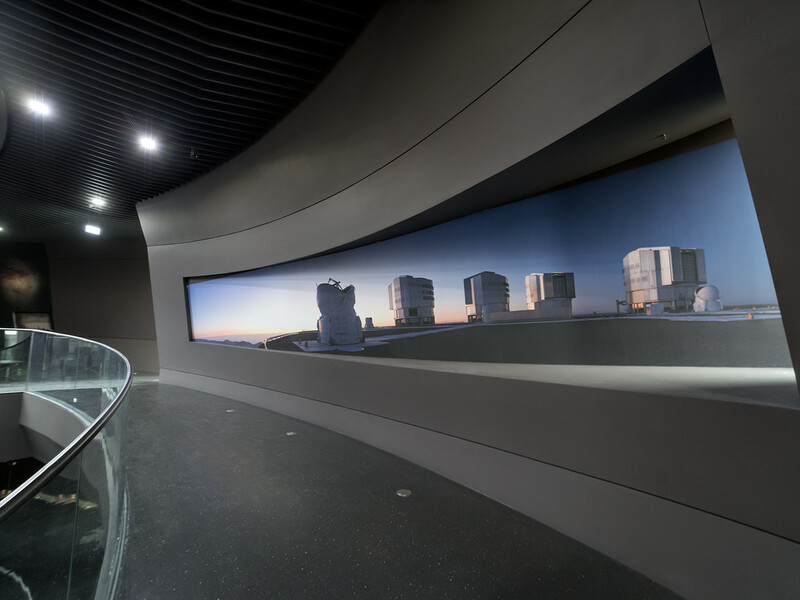 Here is a sneak-peek of how the ESO Supernova is progressing. 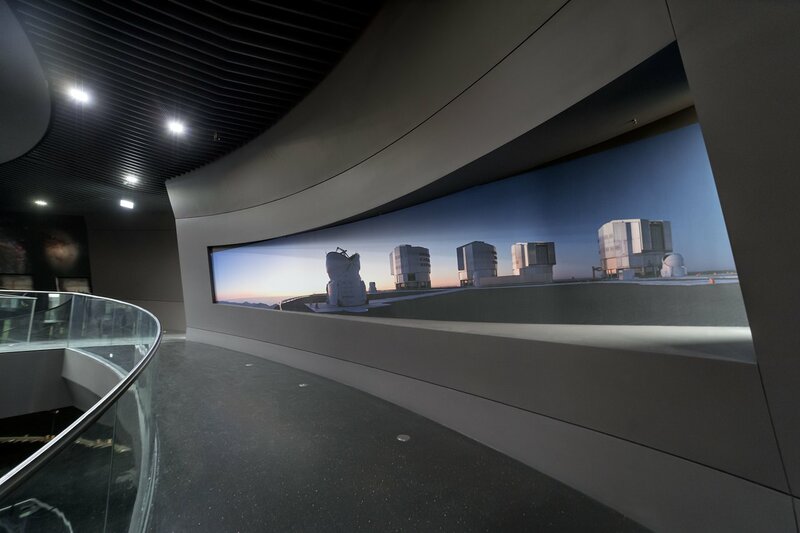 This photo from 10 Nov 2017 reveals a new walkway in ESO's new Planetarium and Visitor Centre in Garching, and panoramic images of the Very Large Telescope (VLT) in Chile. 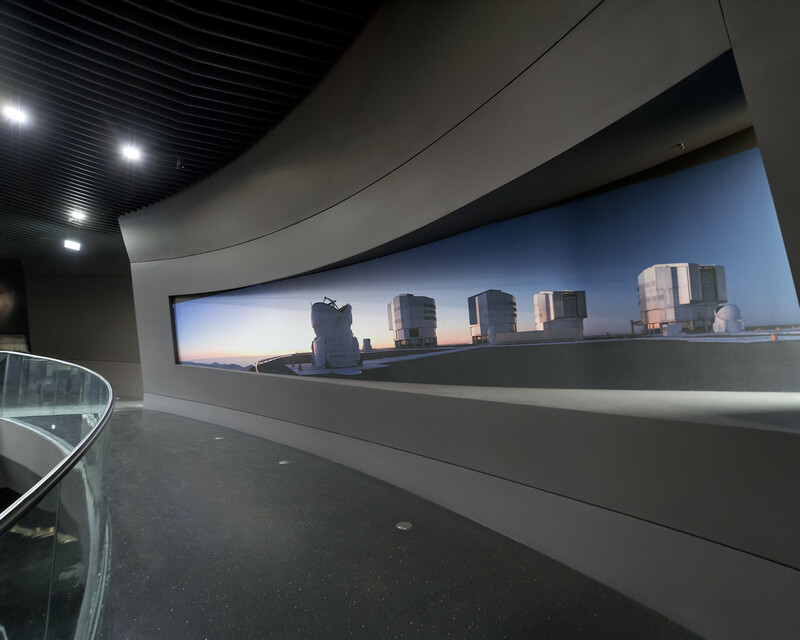 The permanent exhibition in the ESO Supernova will be called The Living Universe.